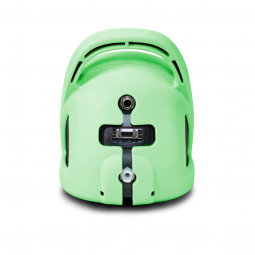 Designed for use in emergency assessment, dental procedures, pre-op, and recovery scenarios, the Vet30 quickly and easily provides reliable vital signs measurements. With the Vet30, intervals can be set to automatically monitor and measure systolic and diastolic pressures, heart rate, oxygen saturation and temperature. 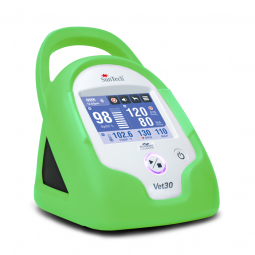 The Vet30 is light, portable, and small enough to carry between rooms. The Vet30 performs motion-tolerant BP measurements with SunTech Medical’s animal-specific Advantage VET BP technology, delivering accurate results with no shaving or gel. Temperature measurements are powered by AccuVet, with a choice between Masimo or AccuVet for trusted oxygen saturation technology. Masimo SET technology provides reliable and accurate pulse oximetry measurements on patients of all sizes, even under challenging monitoring conditions such as low perfusion and patient motion. The intuitive, touchscreen interface provides users all the necessary features for reviewing, analyzing, and transferring vital signs data. Using Bluetooth, data can be transferred from the Vet30 to the trending and reporting PC application that comes standard with the monitor. Three in One: Trusted SunTech veterinary BP technology now with pulse oximetry and temperature. Simple to use: Intuitive, color, touch screen interface. Accurate: BP algorithm was specifically developed for companion animals by experts at a leading vet school. 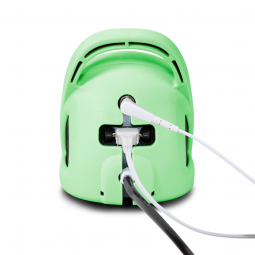 Portable: Battery-operated device easily moved to different monitoring locations. Rechargeable: Battery recharged when device is plugged into AC power, reducing disposable battery waste. To request a quote for the SunTech Vet30, simply click here. Learn more about the full-line of BP cuffs that are available with the Vet30 BP monitor, by clicking here. SunTech Vet30 Brochure in A4 format. Quick Start Guide for the SunTech Vet30. User manual for the SunTech Vet30. This video demonstrates the proper way to measure blood pressure using the SunTech Vet30 Continuous Vital Signs Monitor for companion animals. This video demonstrates how to access and use the memory function on the SunTech Vet30. This video demonstrates the proper way to set clinical alarms using the SunTech Vet30 Continuous Vital Signs Monitor for companion animals. This video demonstrates the proper way to take an Sp02 measurement using the SunTech Vet30 with Accuvet Sp02. 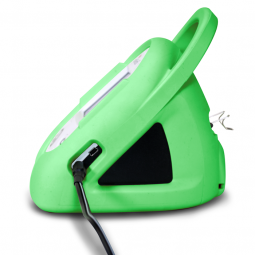 Discover the Difference with the SunTech Vet30 Today!